Legacies are a truly fantastic aspect of the automotive world. 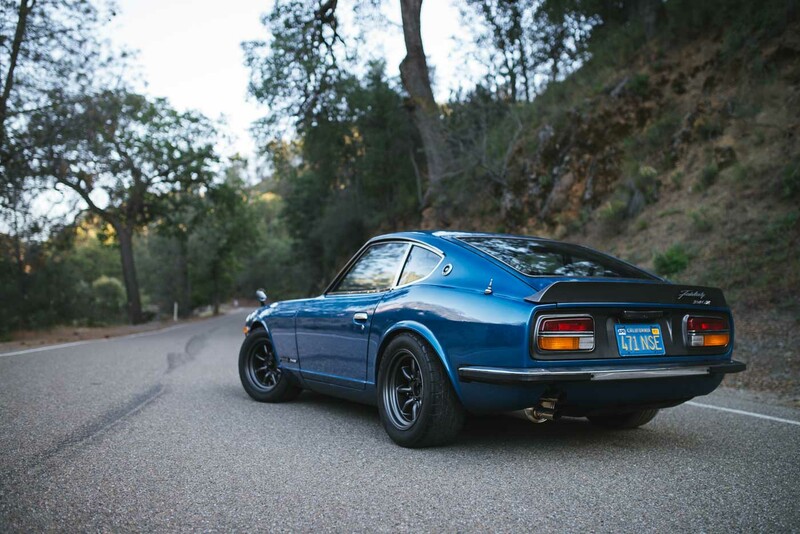 When it comes to Japanese sports cars, the ‘Z’ series easily takes the cake for the longest-lasting legacy of the bunch. And yet it’s the first go around that Nissan, or Datsun as it was known, seemed to have perfected the formula. 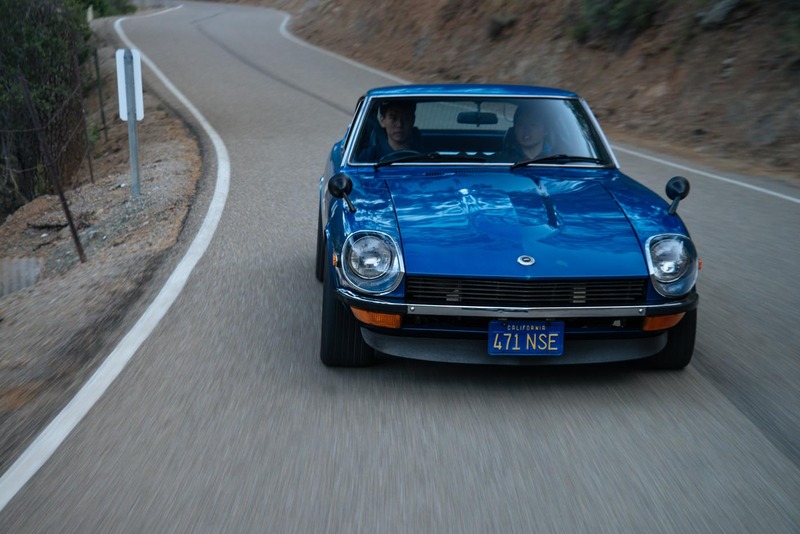 The 240Z was a radical concept in 1969. The chassis was incredible, featuring 4-wheel independent suspension. Then you have that powerful straight six engine. Even disc brakes came standard, and all for a fraction of the price of the Supercars it was themed after. The Z was the first truly affordable sports car. 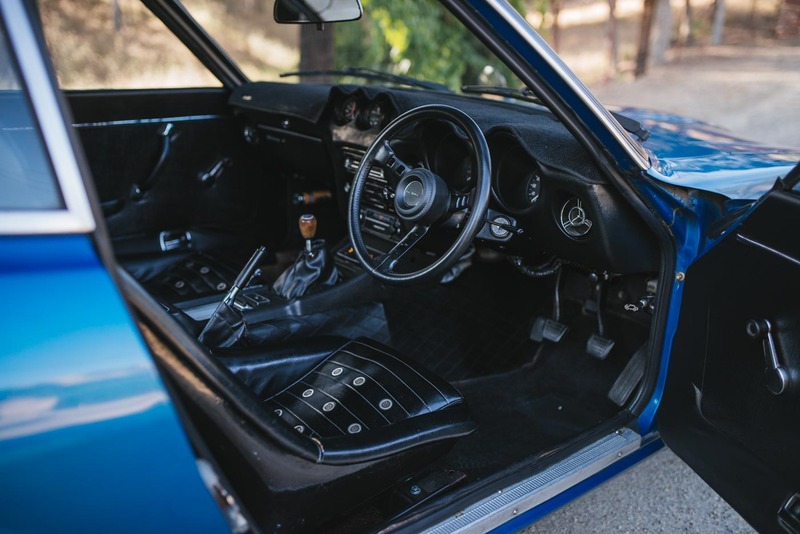 While the 240Z may have been a performance bang for the buck car here in the states, in Japan, there was a lot more to the story. 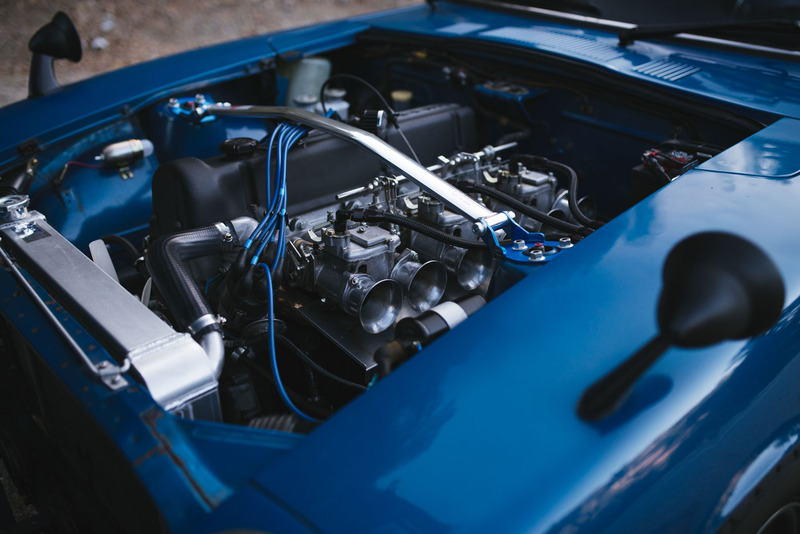 Due to Japan’s historic displacement regulations, the Fairlady Z was limited to a 2-liter straight-six versus the American L24, 2.4-liter engine. After two years the regulations in Japan started to lighten up slightly, and it was there that the special edition Fairlady Z was born. 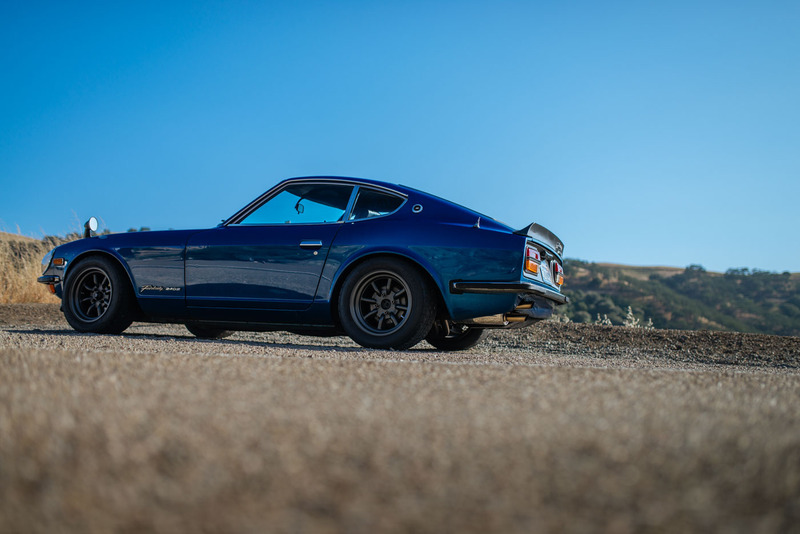 Datsun was able to produce two limited edition models, both featuring the more powerful 2.4-liter inline-6 that we know and love. From there the Fairlady 240Z-G and Fairlady 240Z-L were born. Because of how it unfolded we never received the special edition Z-G or Z-L’s here in the States. That hasn’t stopped every Joey from attempting to copy the Z-G’s racing styling, resulting in a flooded market of imposters. In my mind that makes the Z-L that much more special, and Glenn Chiou’s is possibly the best of all. Because this model wasn’t offered here, we know it was imported from Japan at some point in its life. What was surprising to know is that it was purchased new in Japan by an American Air Force Lieutenant in 1972. The man owned it for 6-months before returning home, enjoying the Z-L so much he brought it back with him. While he had it for a share of its life, he eventually sold it, starting the chain reaction that would see this Z-L change hands until it ended up in a barn. Doomed to a slow demise. And this is where Glenn stepped in to save it from obscurity. The owner at the time had over 40 cars with no interest in driving a right-hand drive relic. 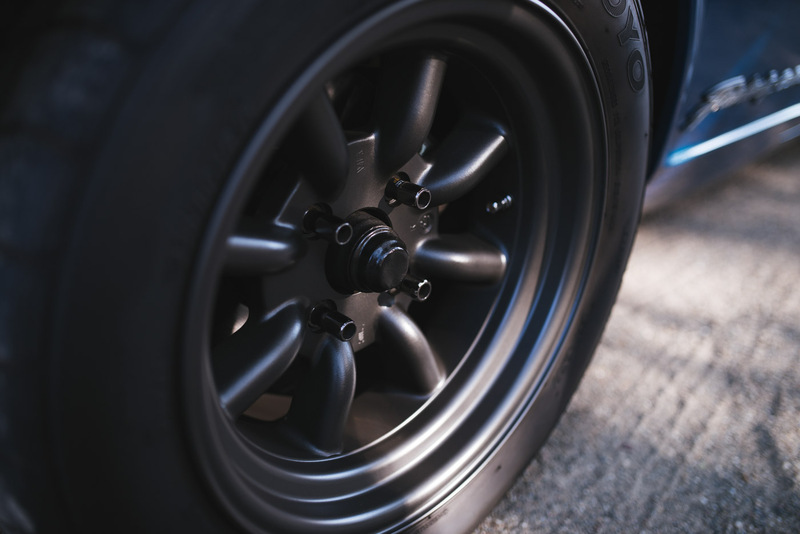 With some thorough convincing and a cash in hand offer, Chiou was able to purchase the Z-L with an agreement that he could use the current owner’s shop to get it back to road worthy. The two shook hands, and the deal was set. Chiou spent the rest of his summer driving back and forth to Santa Cruz to work on the Z-L. Two months later he made his last trip, driving the Z-L home for good. Every year we lose too many Z’s too tasteless modifications, and teenagers screaming ‘stance life brah!’ Glenn is a man of great taste, meaning you won’t find bolt on fenders here. Instead what he has done is thoughtfully modified his Z-L using period correct parts, an extremely challenging task. Utilizing a ‘Datsun Competition Catalog’ Chiou would scour the internet for long periods, attempting to find the perfect part. Within 5 years the Z-L went from a barn find to a vintage racer, with every aspect being perfectly combed over. 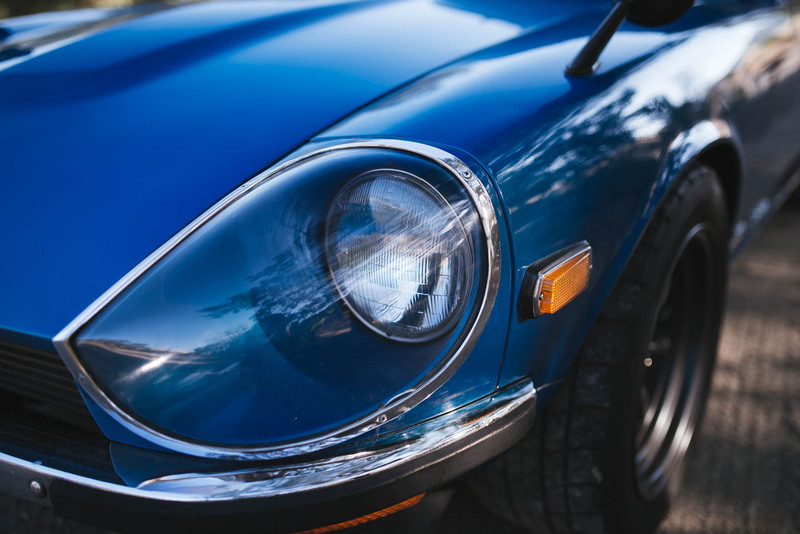 Between the wheels, the engine stroker kit and the gorgeous sounding exhaust, this Z-L is what right-hand drive dreams are made of. I’ve seen some clean 240Z’s before, but I have yet to see as well done as Glenn Chiou’s. Check out the rest of the film here, and see just how good Glenn’s Z-L really is.